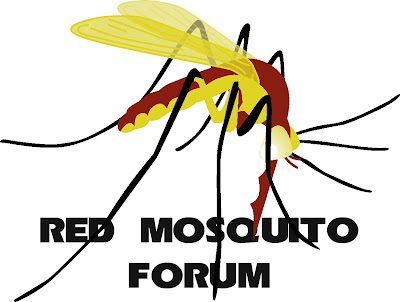 It's days like this that I love having the Red Mosquito users as a resource. RM user, spived, really ... really ... REALLY loves State of Love and Trust. I didn't want one man's obsession with a track to go unrewarded. This post obviously took all day to create, and I think it's a good read for anyone who, like me, has listened through O'Brien's remixes and then hit repeat a few times when they got to this track. SOLAT was written to Singles film, after PJ saw the movie. Right? Between 1991 March 27 and April 11 on Seattle WA, London Bridge Studios. "On April 11, 1991, Jeff gave a cassette of potential Singles Soundtrack songs, among them 'Breath' and 'State Of Love And Trust,' to Cameron Crowe." The Ten Redux version is with Dave K. on drums. Previously Unreleased Out Take From TEN. Rough Mix. 1991 April 21 Seattle WA, London Bridge Studios. Then, SOLAT born on March-April 1991, correct? "The version of SOLAT with Dave Krusen on drums is so much better than what ended up being released." "He really plays that song in the spirit it was written in. It's has a much trashier, Crazy Horse feel to it. It's awesome." notes: Filming for Singles is complete and PJ plays at this "wrap party" with many cast members in attendance. Maybe SOLAT was played here for first time, we never know. Notes: This session was held to mix the tracks recorded in March and April 1991 and while doing so, a few overdubs were added to a couple of songs. So Jeff Ament didn't like 1991 Ten. Is it Tim Palmer fault? Or Rick Parashar fault? notes: This show marks the band's return from remixing in London. notes: 'State of Love and Trust' and 'Oceans' are played live for the first (documented) time. Matt Chamberlain on drums. notes: Matt Chamberlain on drums. Relaxed, fun performance. 'State of Love and Trust' is a bit different version. Matt Chamberlain still playing. Alive video. notes: Record release party. Ad. When was Matt Chamberlain last show? RKCNDY? Who assisted to the party Matt Chamberlain or Dave A? notes: This free, outdoor show was the last show of the summer '91 Sounds of Seattle concert series (later called "Pain in the Grass"). Dave Abbruzzese on drums, Singles soundtrack version. Notes: This session lasted a day and a half. 'Breath' and 'State Of Love And Trust' were re-recorded for the Singles Soundtrack. 06/26/92 - Singles soundtrack (featuring previously unreleased recordings of 'Breath' and 'State of Love and Trust') is released. On 1999, Singles version appears on Movie Music The Definitive Performances. I have a doubt about the RVM version, is it the same of Singles version? I think they remix it (by Brendan?). 03/24/09 Ten Redux is released. Circle is complete. -Dave K played it on rehearsals. His rehearsal version is released, Ten Redux. -Matt Chamberlain played it live. -Dave A played it live a bunch of times and his studio version was released on Singles soundtrack and rearviewmirror album. More releases: 1993 11 30 Las Vegas NV show from the Vault (mp3), Live In Atlanta / Dissident single, Rarefied And Live, MTV Unplugged DVD and Drop In The Park LP. -Jack Irons played it live too. His releases: Live At Melbourne Park / Give Way. -Matt Cameron played it live. His releases: Immagine In Cornice, various official bootlegs, Live At The Gorge 05/06, Live At Lollapalooza 2007. State of Love and Trust needs to be played live by Dave Krusen!! "Don't forget that the best cure for a bad mix is a great song!"